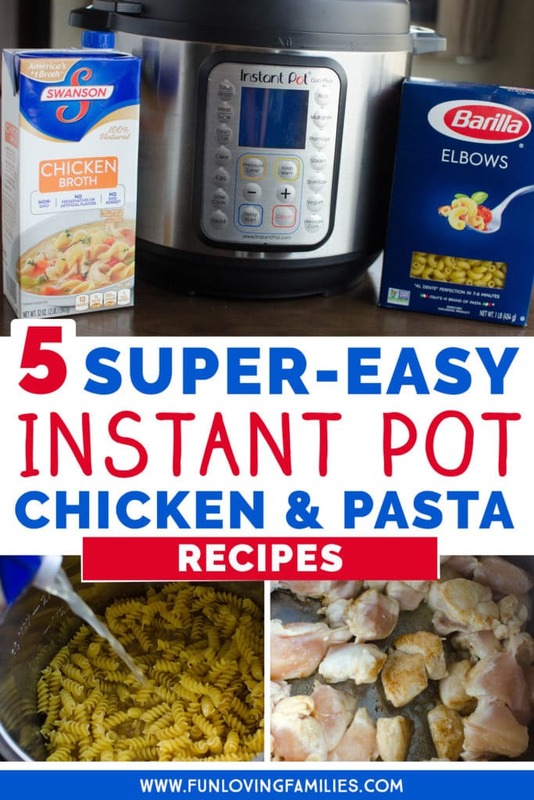 Chicken and pasta are super easy to make in your Instant Pot. Plus, they’re about as kid-friendly as you can get. 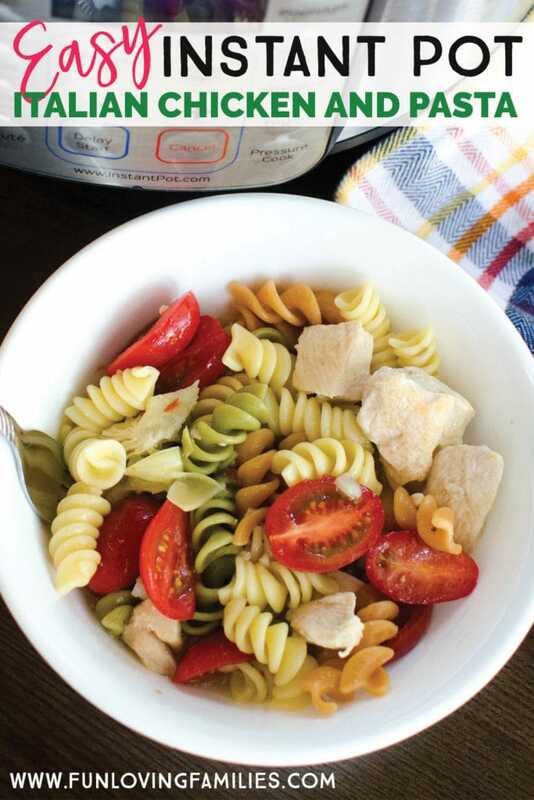 Use this basic Instant Pot chicken and pasta recipe, then pair it with any of our 5 mix-in ideas to keep your weeknight dinners easy and interesting! These chicken dinners are so easy I don’t even know if I can technically call them recipes. 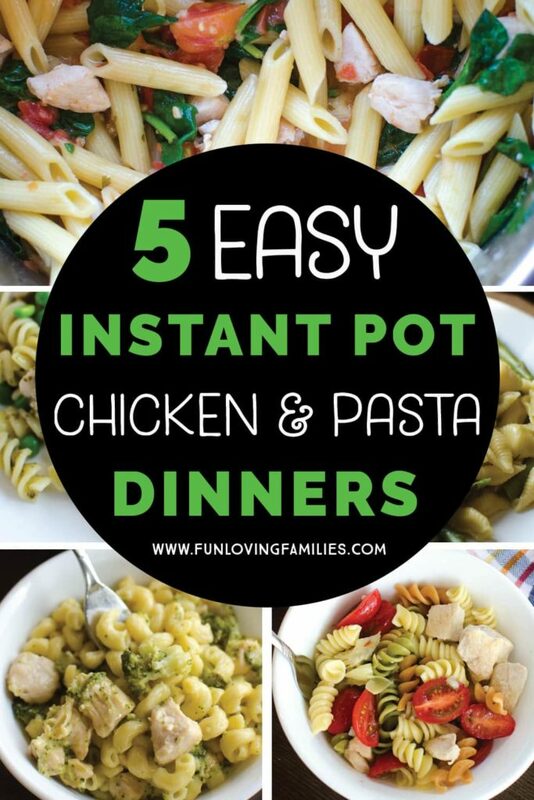 No matter what you call them, you’ll walk away from this post with five really easy dinners you can make in your Instant Pot. You don’t need many ingredients for any of these dinners, but that’s because I kept them pretty basic based on my kids taste preferences. Take these Instant Pot chicken recipes and run with them. You may want to add some heat with pepper flakes, include onions, and really spice things up if that suits your family. 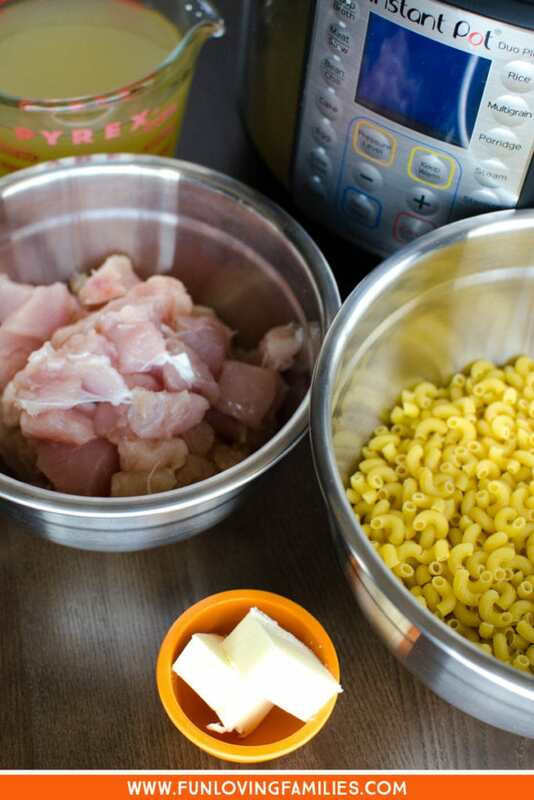 The base of these chicken dinners starts with 1.5 pounds of 1 inch chicken cubes, 1 pound of a short noodle pasta, and about 3 to 4 cups of chicken broth (enough to just cover the pasta). 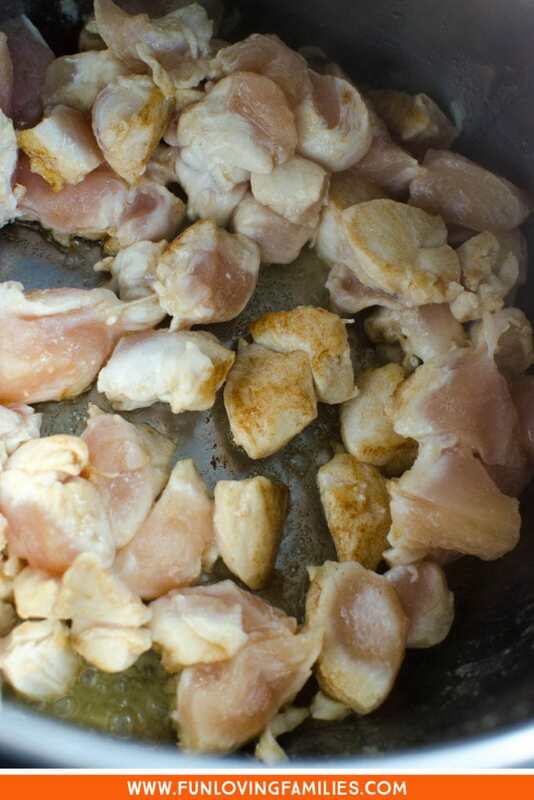 If you can find the pre-cut chicken chunks at your grocery store that will help cut down your prep time to make these recipes come together even faster! To start your chicken and pasta, put two tablespoons of butter in the Instant Pot on saute mode. Heat the butter, then add the chicken to brown for a few minutes. When the chicken is browned, add pasta, then the broth. Now set your Instant Pot to pressure cook for 3 or 4 minutes (depending on the pasta). Here is a great resource for pasta cooking times. I set my Instant Pot for 3 minutes when the pasta cook time is 6-7 minutes, and 4 minutes when the pasta cook time is 11-12 minutes. When the timer goes off, do a manual release of the pressure. Now you can add your mix-ins according to directions below! 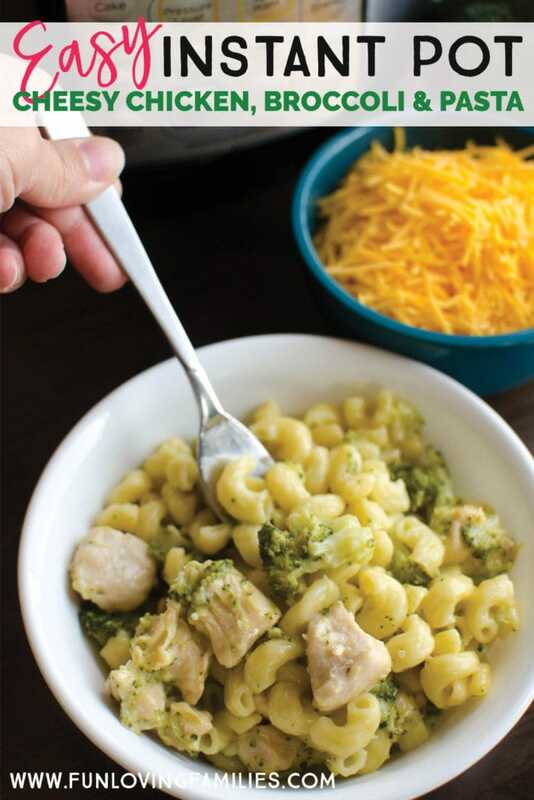 With the basic chicken and pasta recipe under your belt, you can make so many dishes with different flavors, depending on which ingredients you have on hand. See below for the specifics on making five simple dishes your family will love. 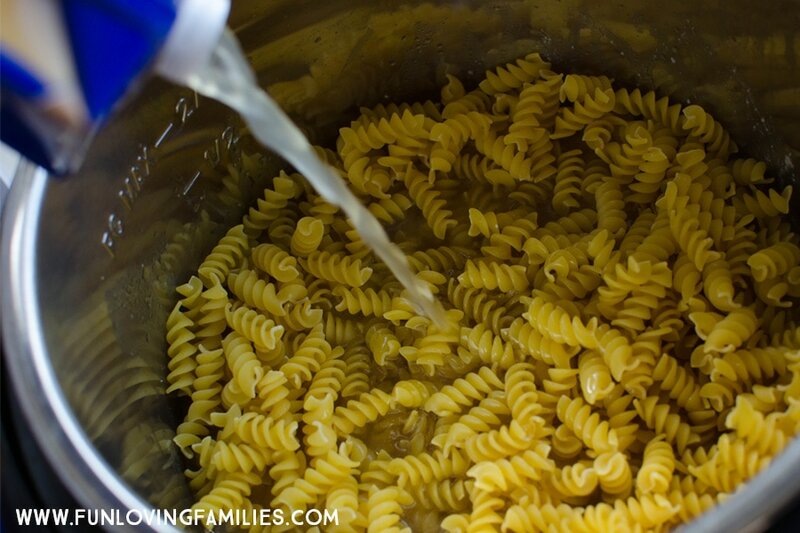 While your pasta is cooking, stir together diced tomatoes, cream, and cooking wine in a bowl. Add to pasta and chicken when the timer goes off, then stir in baby spinach until wilted. The sauce will thicken over time, but you can serve immediately. 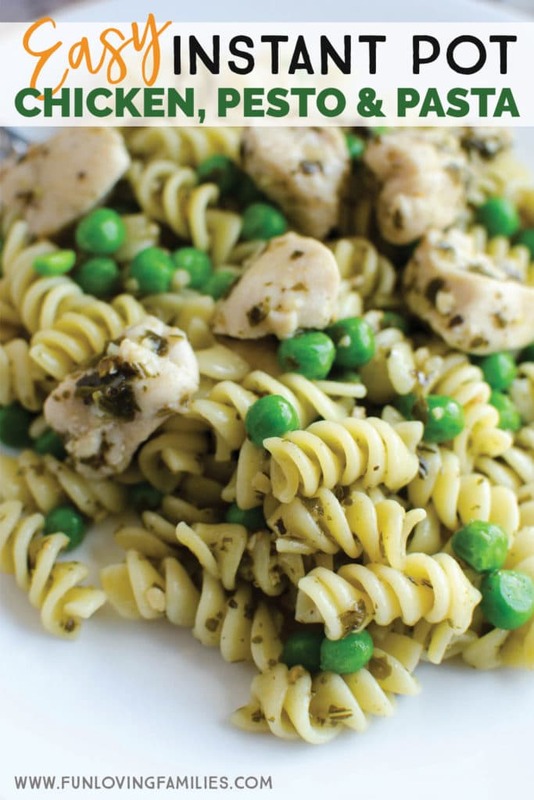 When your pasta is done cooking, stir in pesto until everything is well mixed. Next, stir in the peas. It only takes a minute or two for the cooked pasta to heat up the peas. Add garlic to chicken when sauteing. Add asparagus to Instant Pot on top of pasta before cooking. 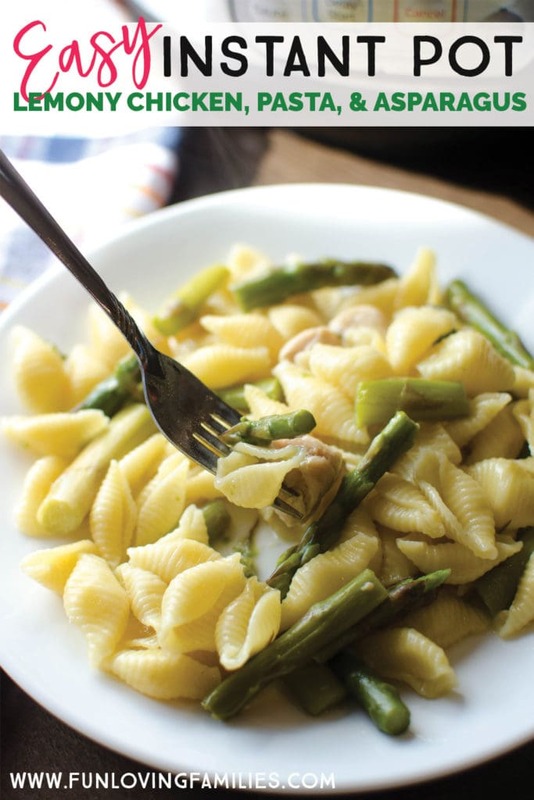 Only use a pasta with a short cooking time to keep your asparagus from becoming too mushy. Stir the lemon juice and zest together in a small bowl, then mix with the pasta and asparagus when done cooking. Serve immediately. Add broccoli to Instant Pot on top of pasta before cooking. Only use a pasta with a short cooking time to keep your broccoli from becoming too mushy. When your pasta is done cooking, gradually stir in shredded cheddar until well combined. When your pasta is done cooking, stir in Italian dressing, artichoke hearts, and tomatoes. 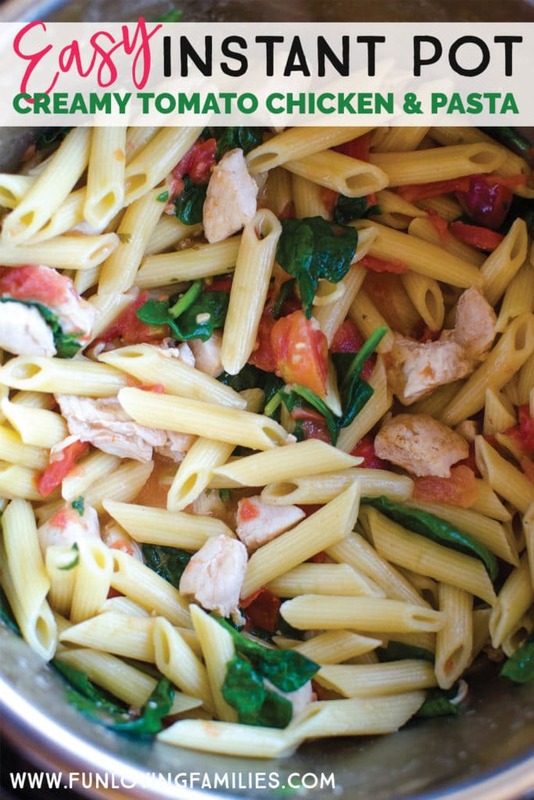 I think this recipe tastes best cold, like a pasta salad, but it’s also good warm. Did you like this post? If so, I’d love it if you’d share it with your friends! Thanks!